We can remove trees in virtually any situation. 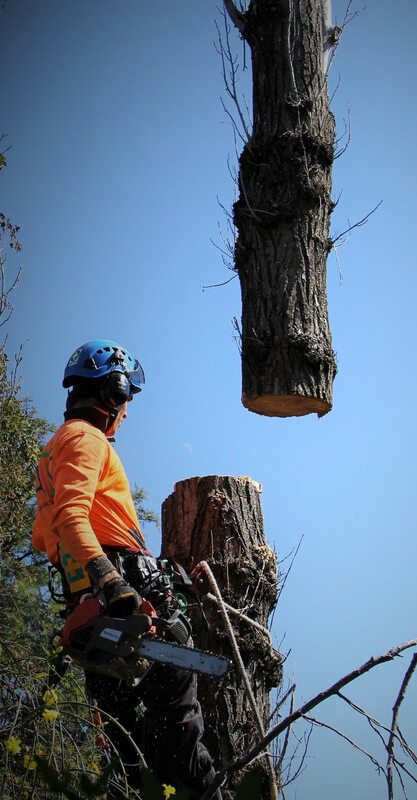 With a skilled team of climbers and ground crew, we handle all aspects of tree removal and tree lopping. We complete the job safely and within the time frame, whilst adhering to our client’s requirements and those of our management system. All our climbers are qualified AQF3 trained arborists, and we allocate our teams to suit job requirements on every occasion. Often trees require removal because they pose a threat to people or property, or if they have outgrown their location. We have extensive experience with tree felling and have the equipment to get this difficult job completed without damaging your property. Our highly experienced arborists have earned a reputation for successfully felling trees in extremely challenging places. If it is possible to fell a tree without the need to conduct climbing, then we use this method with confidence. 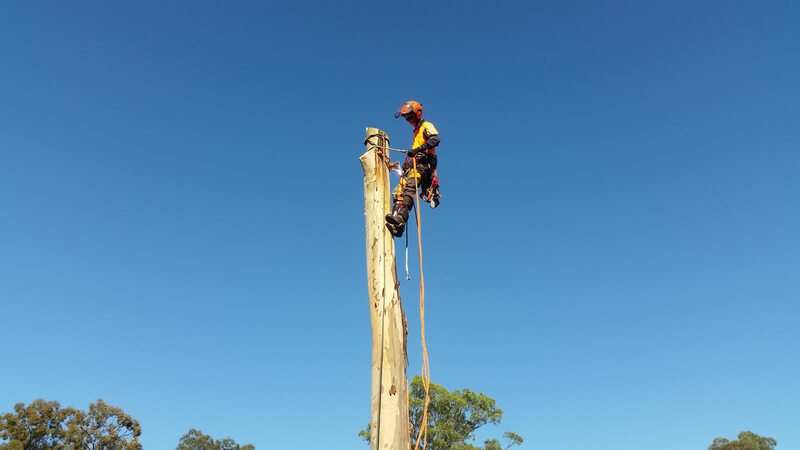 We have almost a decade of experience felling trees for clients across the Hunter Valley, Maitland, Newcastle, Port Stephens, Lake Macquarie and the Central Coast. Depending on the situation, your tree might require specialist arborist equipment and advanced climbing techniques to dismantle your tree so there is minimal impact on the surrounding area. Trees that overhang buildings, roads, gardens and rivers sometimes require extra care in order for the job to be done safely. Tree shape, size, and clearance distances to structures determine the amount of time required to perform the removal. Our specialist equipment is capable of lifting heavy branches up and over structures. Using advanced techniques and operating the latest equipment in the industry, our staff possess the skill to conduct the most complex of tree removals. 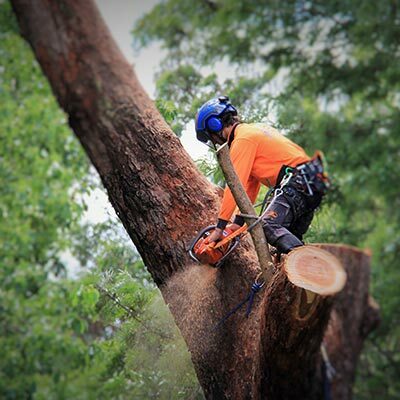 We can conduct tree lopping for all areas of Maitland, Newcastle and the Hunter Valley. 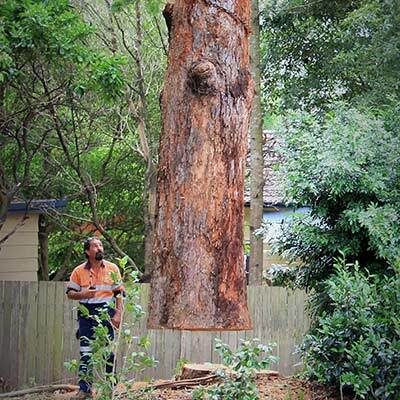 Our arborists are excellent at conducting tree removals in complex situations. Some tree removals require the use of extra equipment; such as cranes or helicopters. These situations require the operators and climbers to have excellent judgement and experience in this type of specialist work. If your trees are located on steep hills, near powerlines, over buildings, or in confined spaces, this may be the type of service you require. Our arborists, having been successful with performing numerous operations this way, have the experience and expertise to undertake complex removals. Tree removals with assistance by crane can be a cost-effective method, and at times is the only way to remove trees safely. 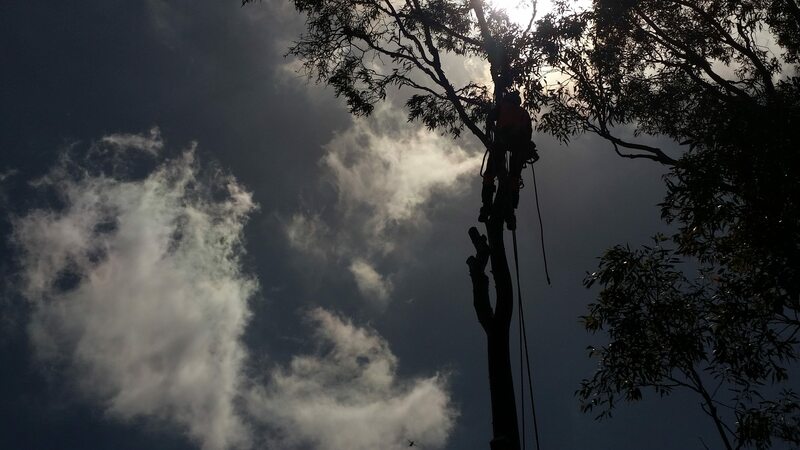 We have conducted countless tree removals using cranes, as such we are experienced to determine when this is required and also possess the skill to undertake this specialist task. 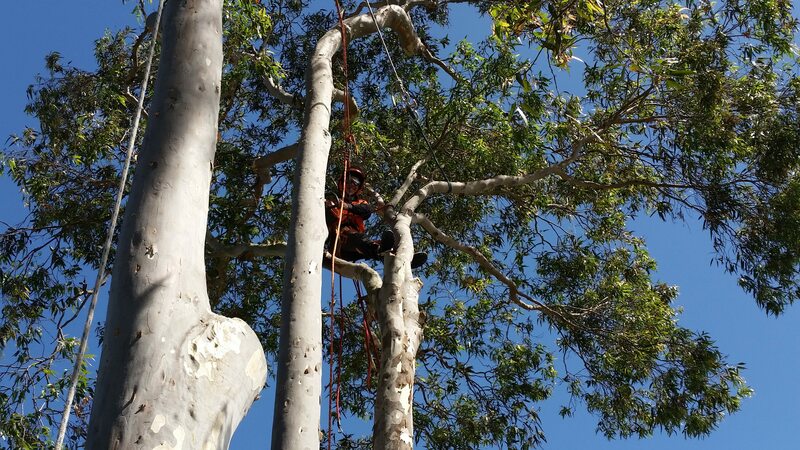 Our Arborist can conduct tree removals in Hunter Valley, Maitland, Newcastle, Port Stephens, Lake Macquarie and the Central Coast areas. This is a highly specialised operation and is only required in extreme situations or in very remote locations. If you require this service, we provide the skill and expertise to ensure a safe and effective operation. We can work all over the Hunter Valley, Maitland, Newcastle, Port Stephens, Lake Macquarie and the Central Coast areas.